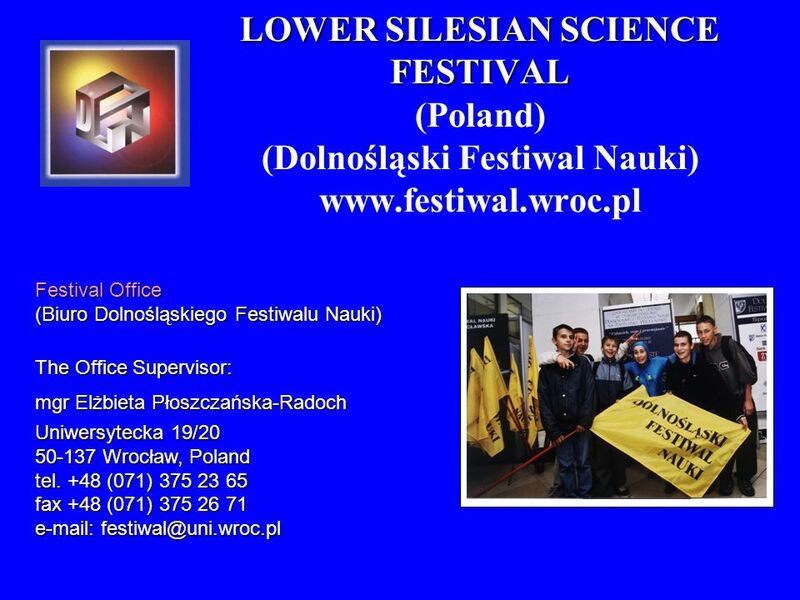 LOWER SILESIAN SCIENCE FESTIVAL LOWER SILESIAN SCIENCE FESTIVAL (Poland) (Dolnośląski Festiwal Nauki) www.festiwal.wroc.pl. 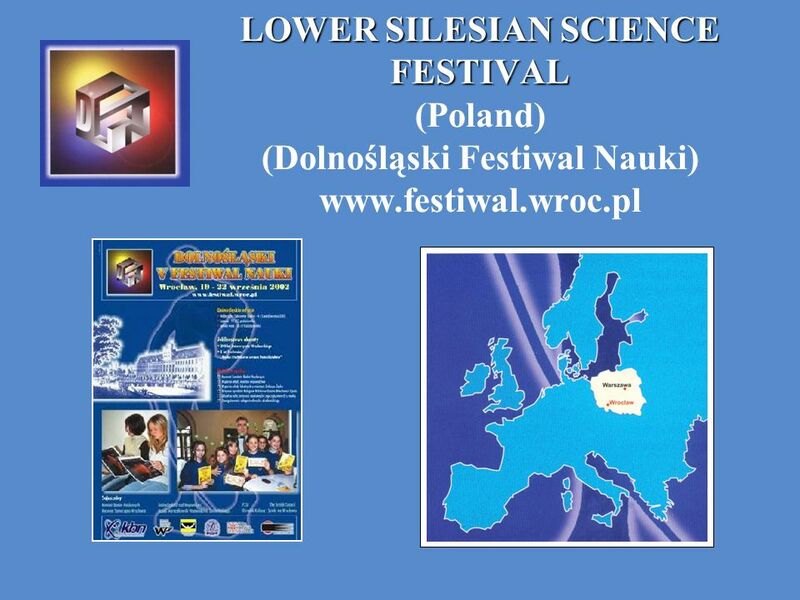 2 Lower Silesian Science Festival has been initiated in 1998 and is a non- profit scientific event organized annually for 10 days, end of September in Wrocław and in four province towns (Jelenia Góra, Legnica, Wałbrzych, Ząbkowice Śl.) in October. 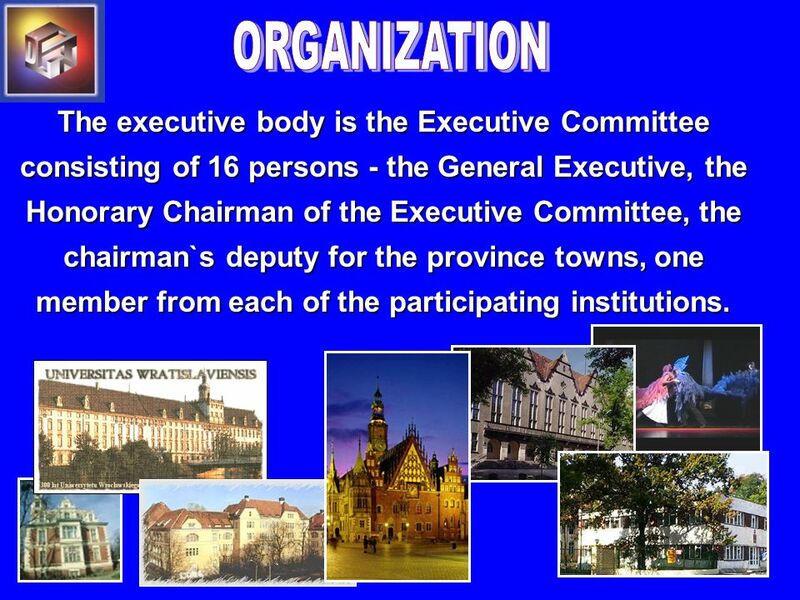 4 The executive body is the Executive Committee consisting of 16 persons - the General Executive, the Honorary Chairman of the Executive Committee, the chairman`s deputy for the province towns, one member from each of the participating institutions. 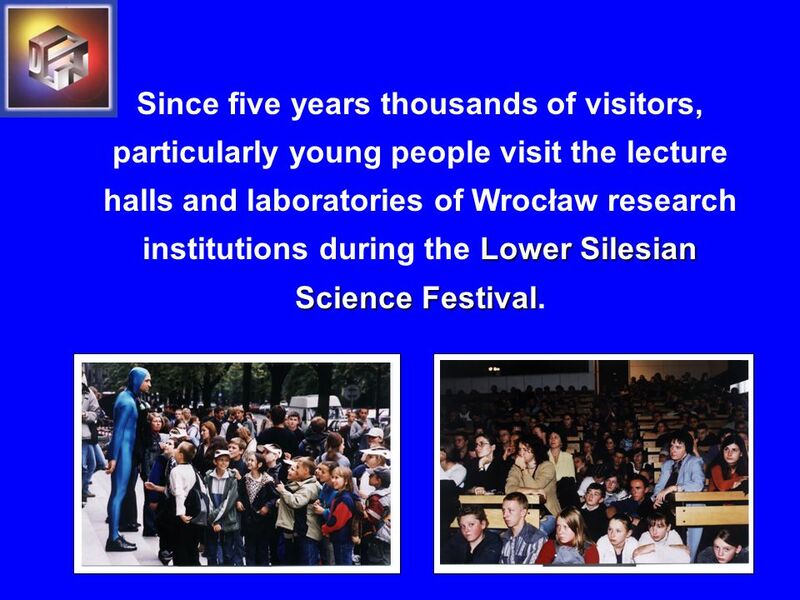 6 Lower Silesian Science Festival Since five years thousands of visitors, particularly young people visit the lecture halls and laboratories of Wrocław research institutions during the Lower Silesian Science Festival. 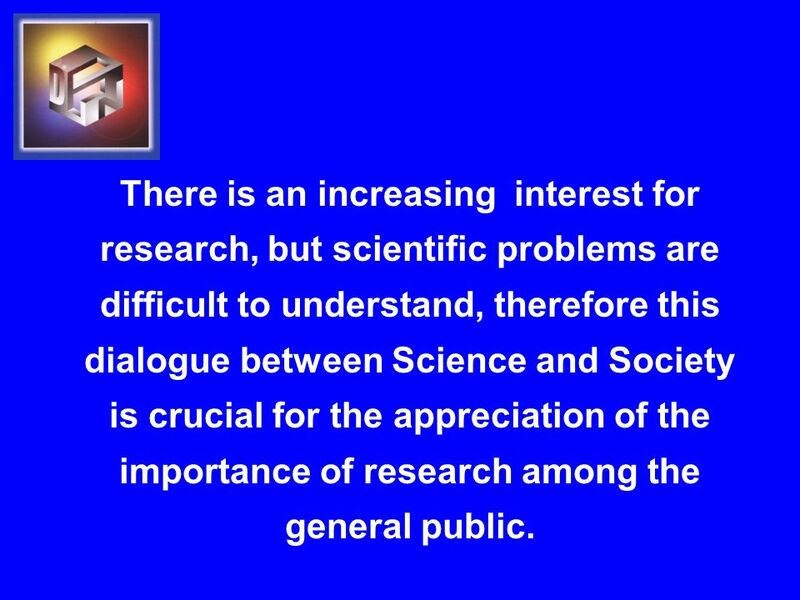 7 There is an increasing interest for research, but scientific problems are difficult to understand, therefore this dialogue between Science and Society is crucial for the appreciation of the importance of research among the general public. 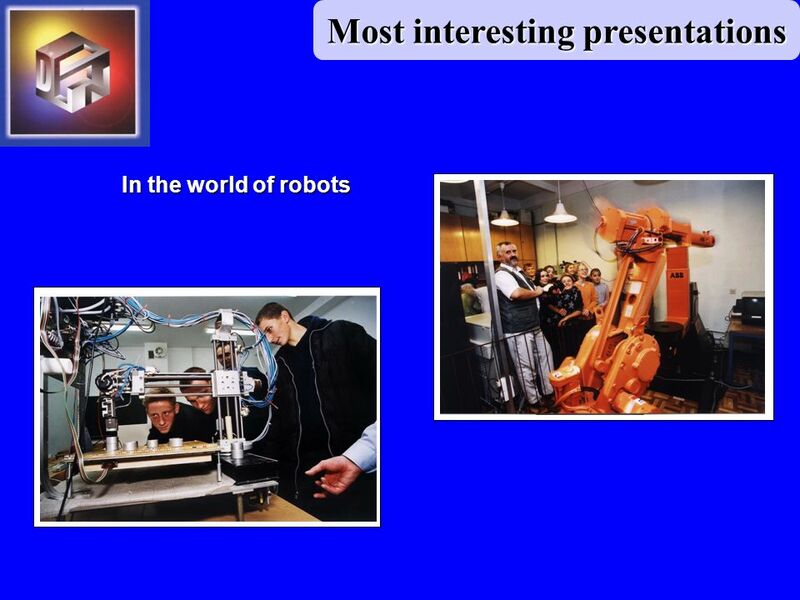 8 Promotion of understanding of science, technology and humanities by showing the effects and benefits of scientific investigations, their achievements and perspectives. 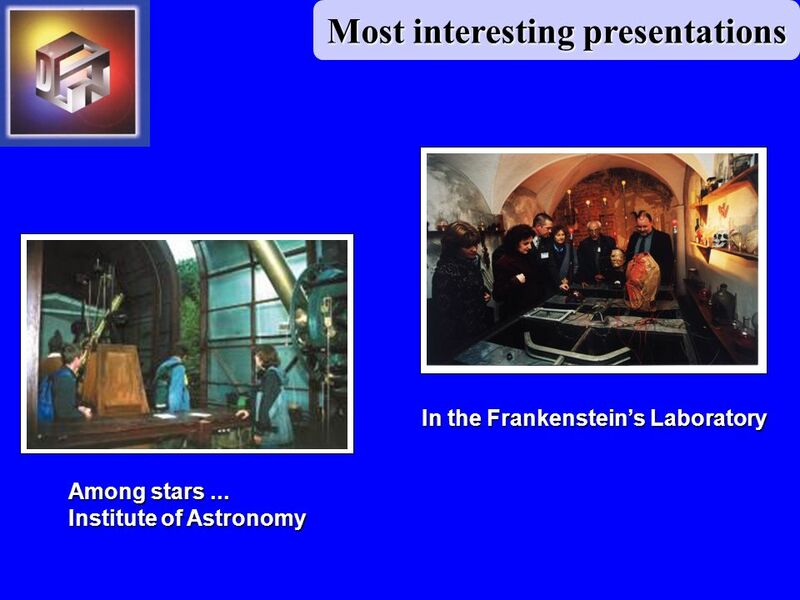 To show that science is an integral part of development of human culture and civilization. 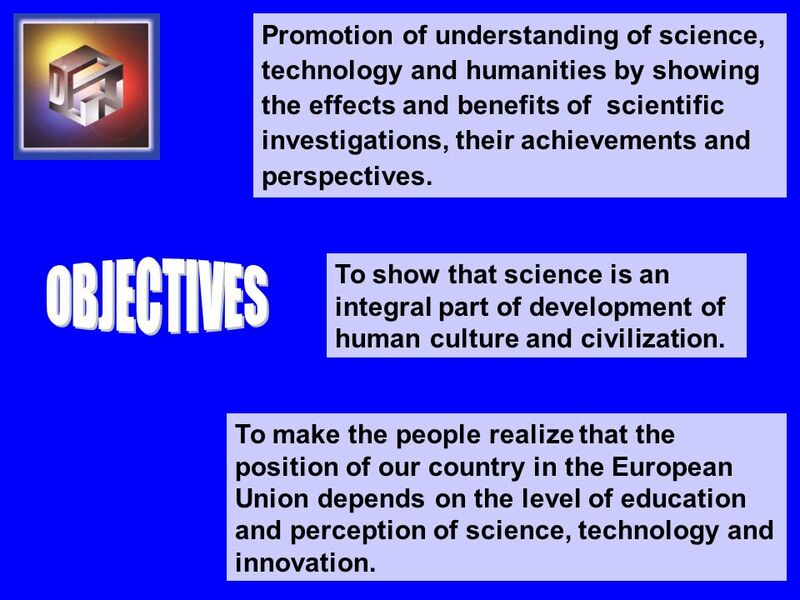 To make the people realize that the position of our country in the European Union depends on the level of education and perception of science, technology and innovation. 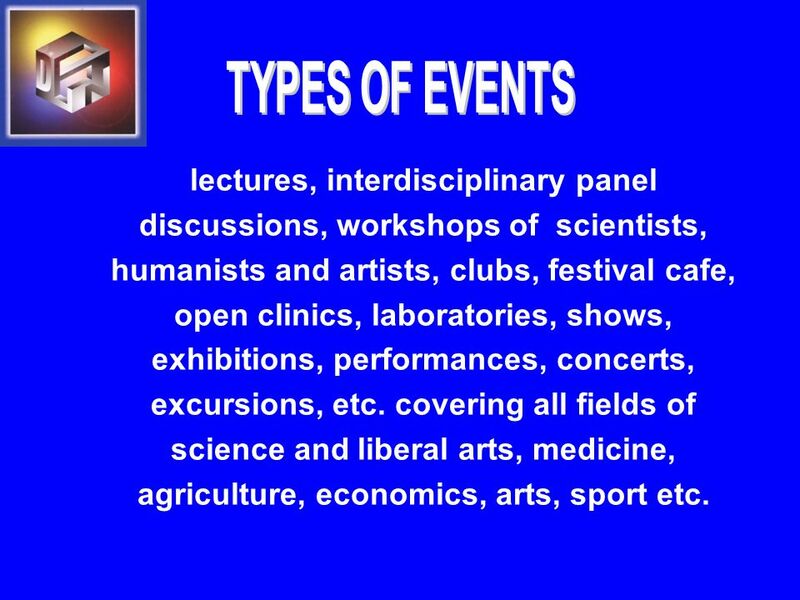 10 lectures, interdisciplinary panel discussions, workshops of scientists, humanists and artists, clubs, festival cafe, open clinics, laboratories, shows, exhibitions, performances, concerts, excursions, etc. 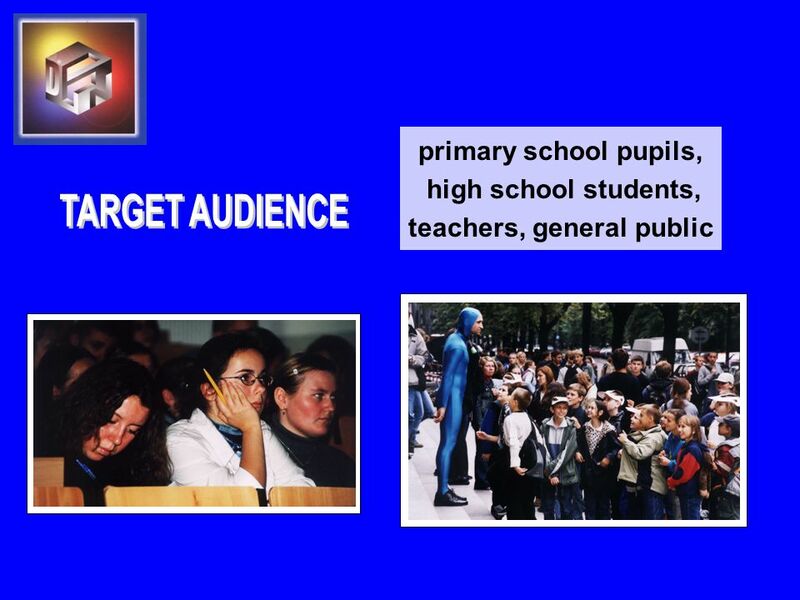 covering all fields of science and liberal arts, medicine, agriculture, economics, arts, sport etc. 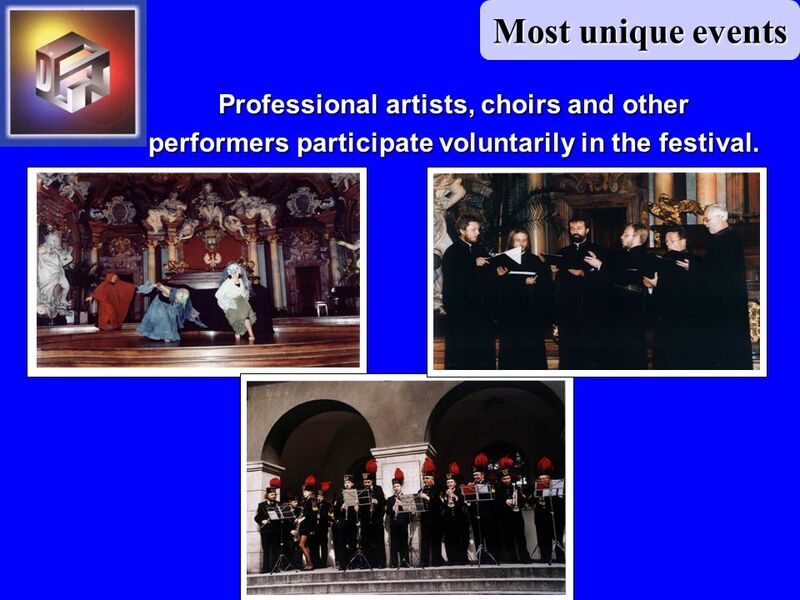 16 Professional artists, choirs and other performers participate voluntarily in the festival. 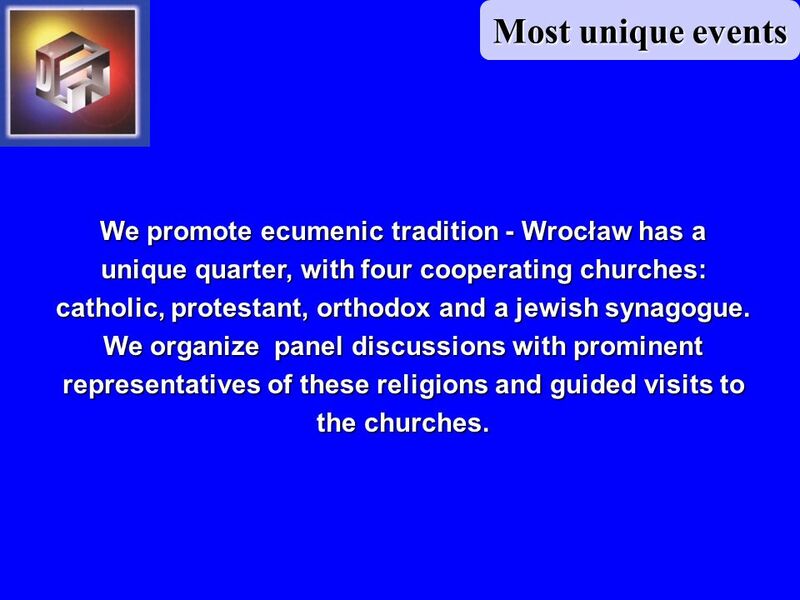 17 Most unique events We promote ecumenic tradition - Wrocław has a unique quarter, with four cooperating churches: catholic, protestant, orthodox and a jewish synagogue. We organize panel discussions with prominent representatives of these religions and guided visits to the churches. 18 Most unique events We have prepared and introduced a program to promote young and talented high schools students in the province towns. 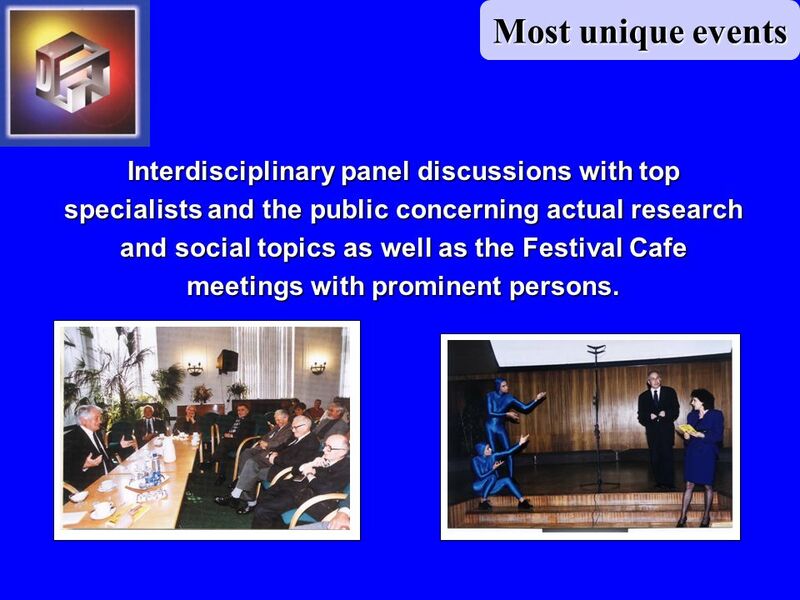 19 Most unique events Interdisciplinary panel discussions with top specialists and the public concerning actual research and social topics as well as the Festival Cafe meetings with prominent persons. 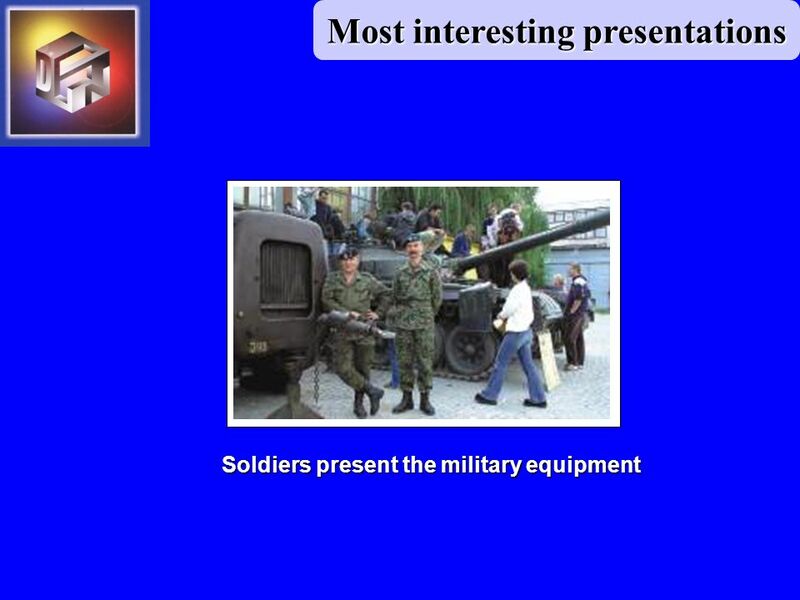 20 Most interesting presentations There was not enough place at the debate in pop culture. 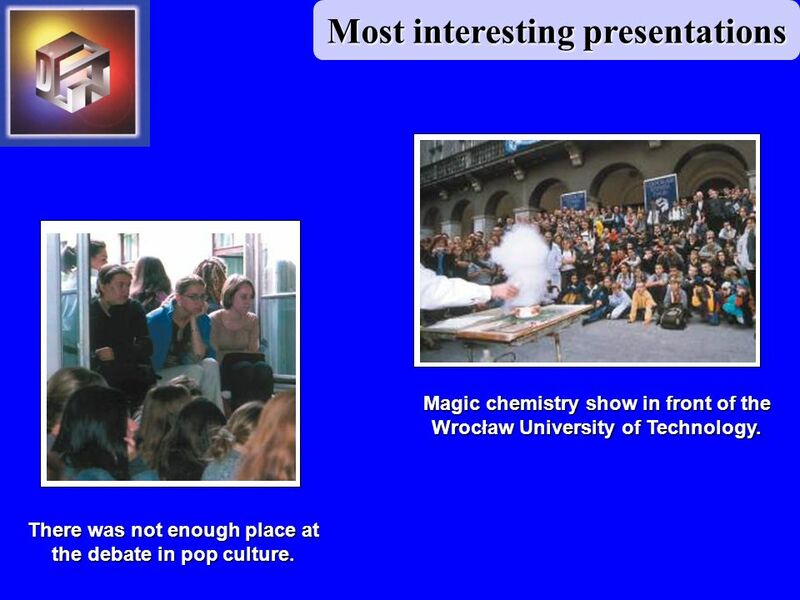 Magic chemistry show in front of the Wrocław University of Technology. 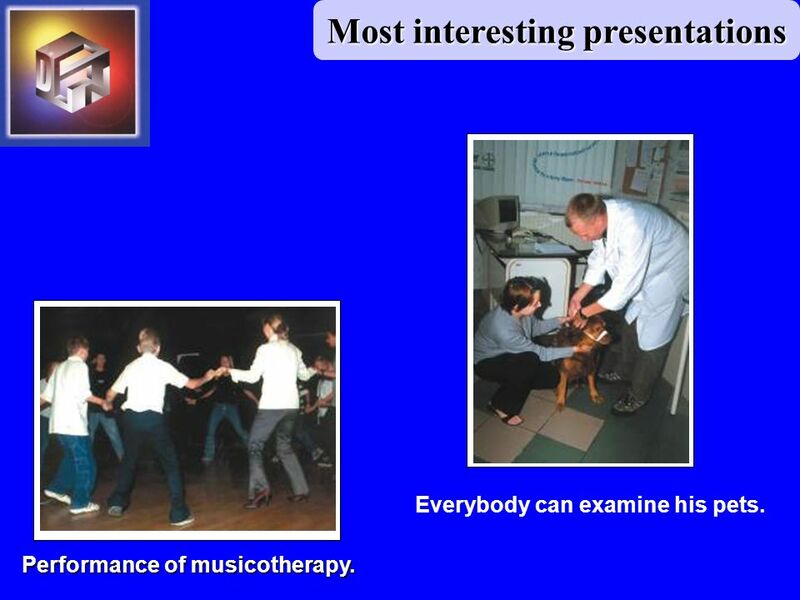 21 Most interesting presentations Performance of musicotherapy. Everybody can examine his pets. 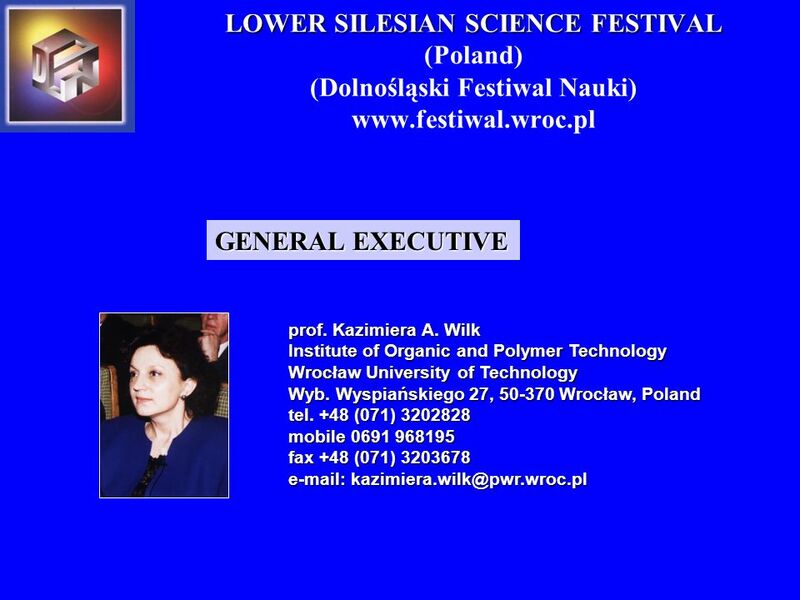 Download ppt "LOWER SILESIAN SCIENCE FESTIVAL LOWER SILESIAN SCIENCE FESTIVAL (Poland) (Dolnośląski Festiwal Nauki) www.festiwal.wroc.pl." Cultural Heritage in REGional NETworks REGNET ICCS – REGNET Dissemination Activities. 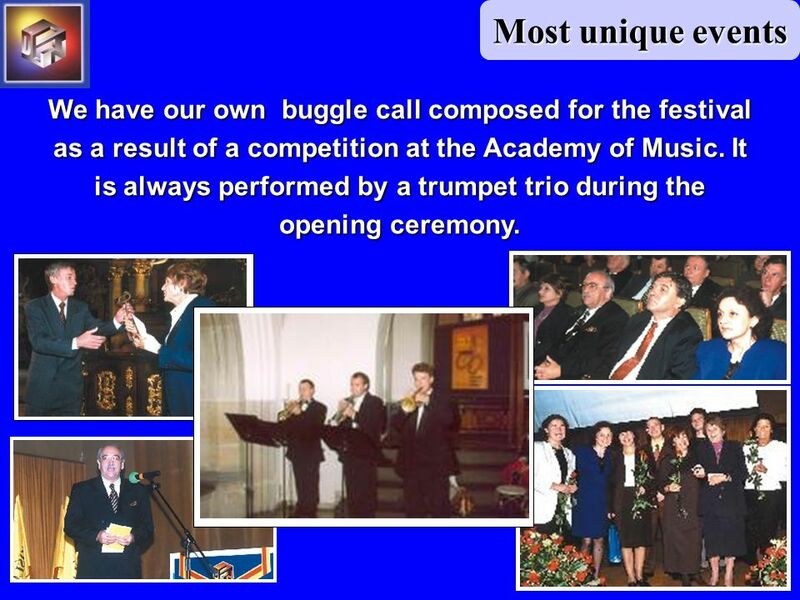 Events by LUKA VIDMAR Treasurer of BEST BEST PARTNERS ROUND TABLE 26 January 2007 Turin, Italy. Władza Wdrażająca Programy Europejskie ul. Wspólna 2/4, Warszawa tel faks OPERATIONAL. 1 Reforms in Science in the Republic of Moldova Reforms in Science in the Republic of Moldova Ion Tighineanu, Vice-President, Academy of Sciences of Moldova. Współpraca akademicka stypendia, badania, rozwój Warszawa, 9 listopada 2010. 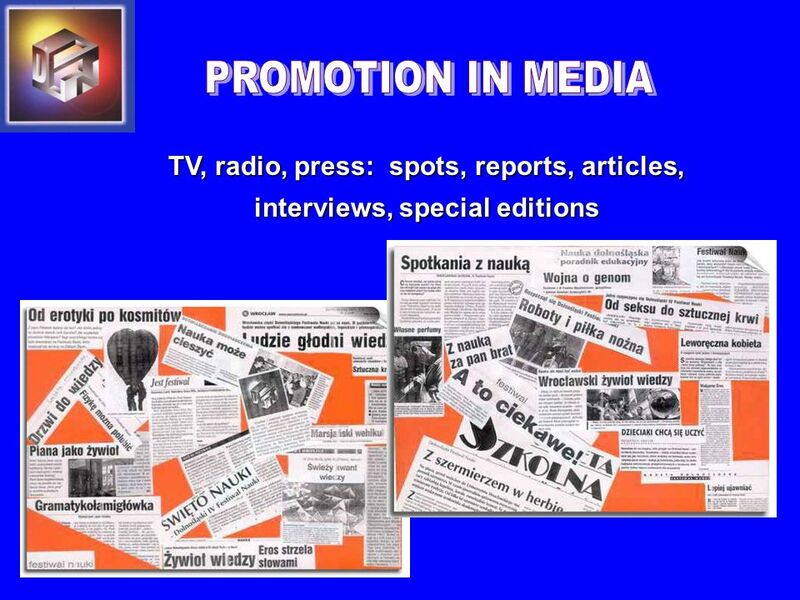 5th December th January Aim of The Project Promotion of energy-saving ways of lighting public and private areas Social education Art promotion. Zespół Placówek Edukacyjnych STRUCTURE OF EDUCATION SYSTEM Poland. The Foundation Centrum PPP began its operation in October 2008 (in July 2008 the Minister of Finance Jacek Rostowski and Minister of Economy Adam Szejnfeld. Promotion of Diversity in Culture and Arts within European Cultural Heritage Poland Programme Operator: Ministry of Culture and National Heritage Overview.